must then traverse the ridge to gain the summit of North Palisade. tackle the 50 degree ice to gain the top of this couloir. 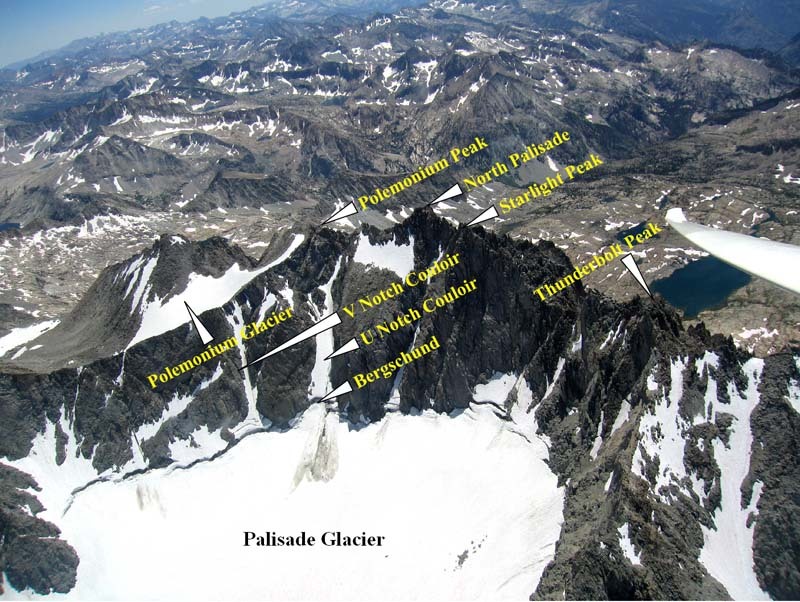 Palisade Glacier - Largest Glacier in the Sierra Nevada Mountains. The Polemonium Glacier is the highest glacier in the Sierra Nevada Range. in place. This will afford easy access to the couloir. throughout the Sierra Nevada Range. View of the Palisade Range as seen from the White Mountain Sierra Lookout Point many miles away.